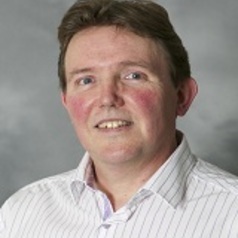 Gren Ireson is Professor of Science Education and Research Coordinator within the School of Education. Before teaching in higher education, Professor Ireson taught in three Nottinghamshire secondary schools teaching, to A-level, physics, mathematics, electronics and computer science. He joined the academic staff at Loughborough University in 1997, teaching on a variety of undergraduate and post graduate courses. During his ten year tenure, he developed a research profile focused on learning and teaching in the physical sciences especially quantum phenomena and superconductivity. Professor Ireson joined Nottingham Trent University as Professor of Science Education in the autumn of 2007. Professor Ireson teaches on a number of undergraduate modules e.g. Introduction to Digital Electronics, Mathematics for Scientists and Turning Points in Physics. He also supervises both master's and doctoral students giving particular support in research design and data analysis. Professor Ireson's research focuses on learning and teaching in the physical sciences. Over the past fifteen years he has been involved in a number of Europe wide projects exploring the learning and teaching of electromagnetism and superconductivity. Whilst he maintains an interest in superconductivity he has, more recently, begun exploring Space Science, with support from the European Space Agency, and Computer Science, with support from Computing at School. Opportunities to carry out postgraduate research towards an MPhil/PhD exist and Professor Ireson is happy to take enquires from research students wishing to explore the learning and teaching of superconductivity, quantum phenomena, special relativity, or science in a sporting context and women in physical sciences. Further information regarding research degrees can be obtained from the NTU Graduate School.